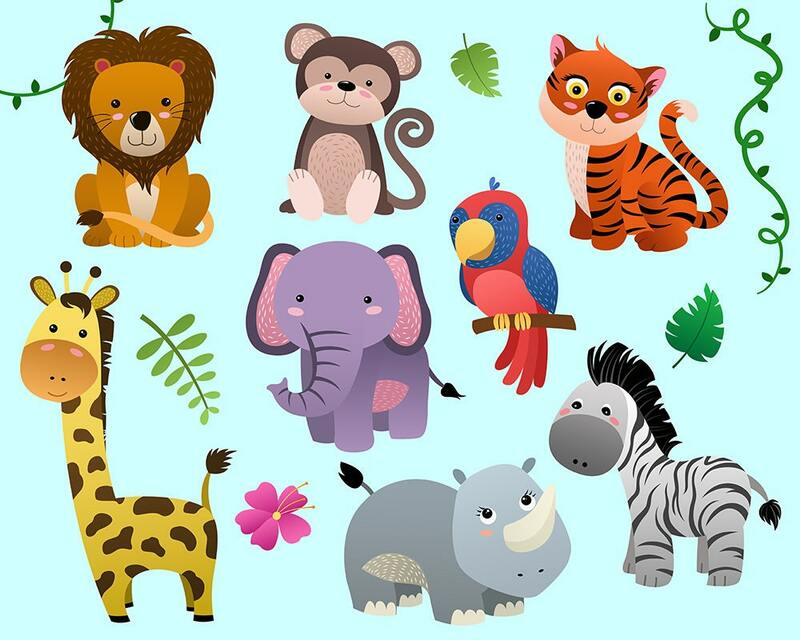 This listing is for a set of 14 hand drawn cute jungle animals and design elements. Perfect for use in scrapbooking, baby showers, party invites, greeting cards, kid's decorations, and much more! Please note that this is a digital download, no printed material will be sent to your address. Items from Kenna Sato Designs may not be resold as digital clipart sets. For purposes of EU data protection law, I, McKenna Sato, am the data controller of your personal information. If you have any questions or concerns, you may contact me through Etsy conversations or by email at kennasatodesigns@gmail.com. When will my decal arrive? U.S. orders are shipped through USPS First Class Package Service and usually arrive within 2-5 business days. Orders weighing over 1 pound are shipped through USPS Priority Mail and usually take 1-3 business days. International shipments are shipped through USPS First Class International Package Service and usually take 2-6 weeks for delivery. Please be aware that there are occasionally delays due to customs, and as an individual seller I am not able to influence international shipping speeds/processes. Buyers are responsible for any customs fees/import taxes that may apply. Will these decals stick to textured walls? We use Oracal 631 vinyl which is specifically made to adhere to most interior wall types/textures without damaging the wall/paint upon removal (keep in mind I am unable to guarantee any part of the installation/removal process). Heavily textured walls may require more patience when installing, but the decals should adhere as long as the installation instructions are followed. Do you accept custom clip art orders?